Restaurant merchandise is nothing new, but it’s starting to become a lot cooler. Take it from brands like Sweetgreen and &pizza. They know good merch can double as free advertisement and additional revenue, but it can also be a way to increase customer loyalty. And isn’t that what restaurant branding is all about? 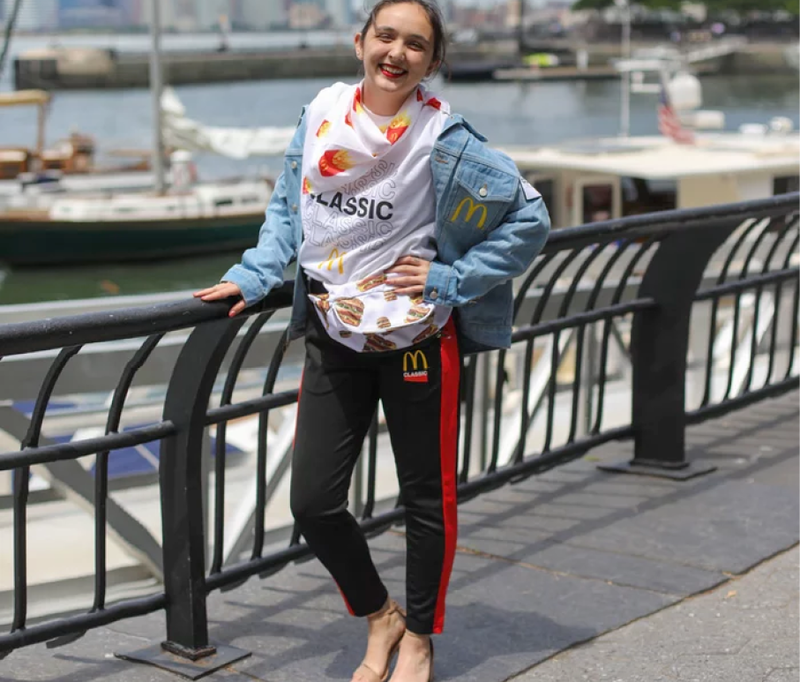 However, restaurants shouldn’t just slap their logo on a shirt, they should opt for merchandise that is unique to their culture and experience. Below are some of our favorite brands and their merch (with links to purchase!) that do just that. This cult salad shop is a favorite among millennials. Their tongue-and-cheek attitude towards healthy food makes eating salad fun. Oh, and it doesn’t hurt that they put on a free concert for seven years in Washington, D.C. called SweetLife. Sadly, the concert series is over, but the fun hasn’t stopped. 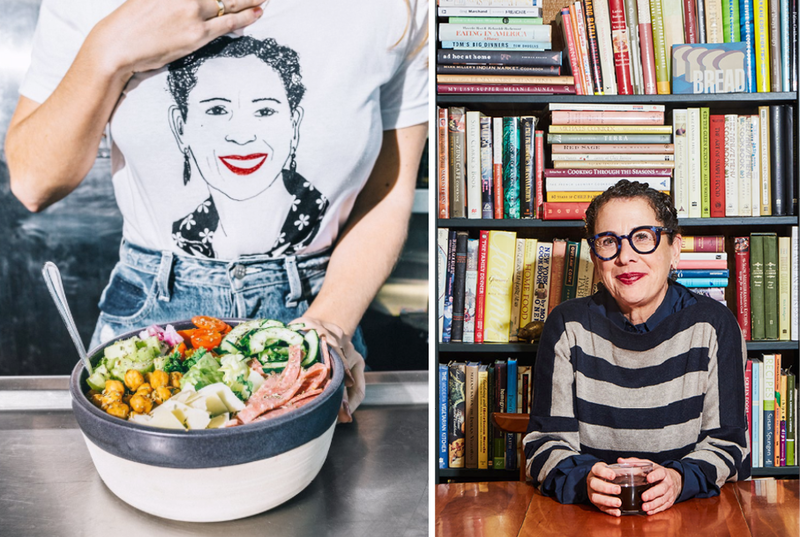 To celebrate their latest salad collaboration with famed chef and salad icon Nancy Silverton, they partnered with fashion brand DEERDANA to create a custom t-shirt. I know, I realize I just said that t-shirts are lame. But this one is different. It’s the cross section of foodie and fashion culture, a perfect fit for the Sweetgreen customer. But don’t wait—Nancy’s Chopped Salad and tee are available at Sweetgreen for a limited time only. When you think of pizza, do socks come to mind? No? Me either. But somehow, &pizza managed to make even the most mundane white tube sock look cool. And that’s exactly what &pizza does. Similar to Sweetgreen, &pizza is playful, but served with a side of anti-establishment edge. This East coast chain chooses to think and do differently. Instead of a using a classic red and green color scheme, &pizza opts for a tight black and white urban aesthetic punctuated with humor and a clever ampersand. Even their pizza shape is oval! You can expect that same ethos from their swag which includes the aforementioned black and white tube socks, bandannas, and the new “Issa Tote” tote. Abby Hocking from Food and Wine magazine. 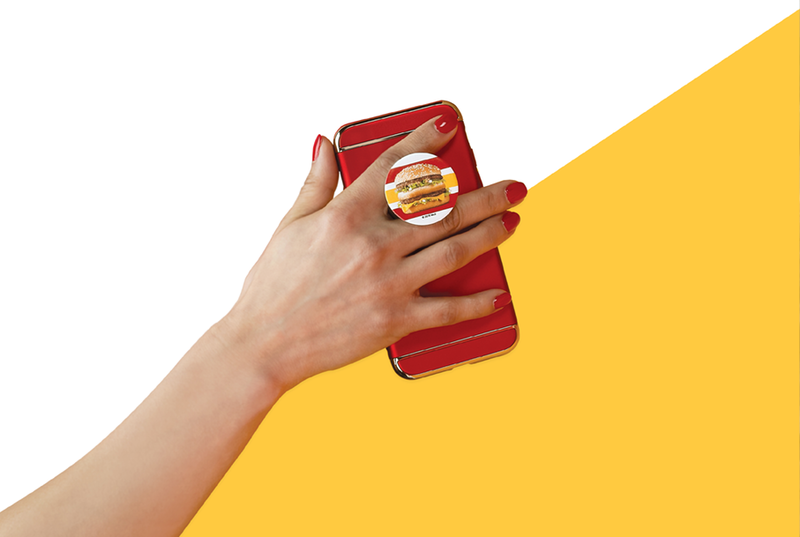 Sadly, these items are no longer for sale, but keep an eye out for future McDelivery promotions. We have a feeling this isn’t the last time you’ll see this. These days, you can’t scroll through social media without reading “BUT FIRST, COFFEE.” somewhere. The ubiquitous phrase is the brainchild of Alfred Coffee & Tea of Los Angeles, California. We’ve been following Alfred Coffee & Tea for years because they’re restaurant branding geniuses. So for swag, we expected nothing less. 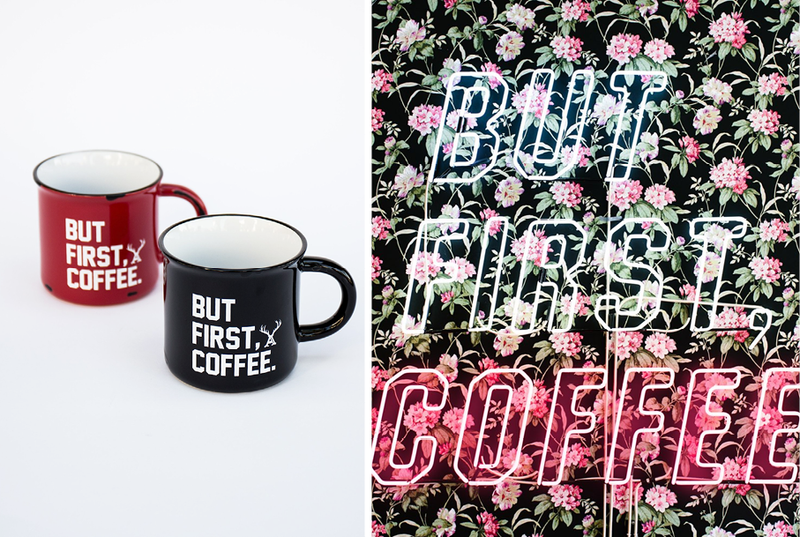 Of course they offer their “BUT FIRST, COFFEE.” mug, but the real show stopper is a collection of perfectly on-brand pins. 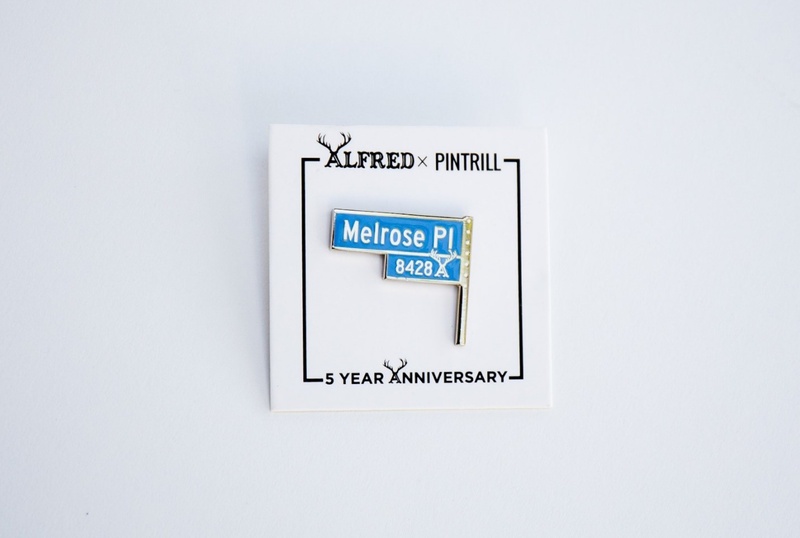 Understanding that their LA clientele cares about presentation, Alfred teamed up with Pintrill, a lifestyle brand, to celebrate their five year anniversary of their Melrose Place location. The Melrose Place pin is subtle—forgoing the recognizable Alfred deer antler logo for the exact address of the Melrose Place location in blue enamel. Long-time fans of Alfred will instantly recognize the now iconic address, and superfans are sure to adorn their accessories or jackets with their little badge of Alfred honor. What do you think—are there any pieces of notable and creative restaurant swag that I missed? Comment below!